Opioid misuse and addiction are reaching new heights despite governmental attempts at curtailment of physician over-prescription, impediment of illicit drug trafficking, expansion of opiate education, and expansion of modern treatment program funding. Luckily, there is a new approach from the family of psychedelic substances that is showing promise on the horizon. In 2015, 33,000 Americans died from opioid overdose, 15,000 from prescription opioids, and 13,000 from heroin. To put that in perspective, that year there were 2 million prescription opioid users, and about half that many were using heroin. That means, while heroin is clearly more deadly, prescription opioids are contributing a significant portion by themselves . Based on data like this, the U.S. has an opioid problem on both fronts of the law. So far, various levels of the government and the medical industry are taking steps to address this spectrum of opioid use. The Department of Health and Human Services mirror this two-pronged approach with a headline statistic saying that 80% of heroin users used prescription drugs prior. Both they and www.drugabuse.gov strive to educate and raise awareness as main interventions. They also provide resources to treatment centers where addicts can receive Methadone, medication for cravings, psychotherapy, and group therapy. In the executive branch of our government, President Trump’s most recent statements about opioid addiction surround the potential enactment of stricter laws to combat illegal drug trafficking. Fortunately, it is clear at this point that bi-partisan support for this epidemic is inevitable due to its affecting both privileged majorities and at-risk minorities. At the state level, further improvement of education programs and treatment facilities varies somewhat. They are also addressing over-prescription with better medical record keeping regarding predictors of misuse such as duration of use, multiple prescribers, and overlapping prescriptions. However, despite these governmental interventions, they do report it is continuing to get worse . In the medical industry, the aforementioned over-prescription interventions are in the works, but the manufacturers and suppliers are also involved with this. One study found that non-medical opioid use actually declined since 2002, but medical use increased dramatically . Furthermore, the age groups that typically receive the authorized medical opioids show larger increases in overdose death , . The same study also reported that Purdue Pharma funded over 20,000 pain-related educational programs for long-term opioid prescription and gave money to the American Pain Society, American Academy of Pain Medicine, The Federation of State Medical Boards, and the Joint Commission . These financial ties paint a picture that physicians putting their patients on pharmaceutical opioids are influenced by business interests of drug manufacturers. These facts make it apparent the situation here is getting desperate for more effective solutions, but fortunately a plant that is native to West Africa may be the secret weapon we need. Ibogaine is the most common name for the potent extraction of the root of Tabernathe Iboga, and it is traditionally used in initiation rituals and low-dose health remedies in plant form , . Strangely, it is actually legal in most places in the world except for the U.S., where it is a schedule-I substance and considered not to have any accepted medical use, the same as all other classical psychedelics. In many countries, it is used for drug-addiction in dedicated treatment centers worldwide. It has also been used by pharmaceutical companies for other medical treatments in addition to drug-addiction . Animal studies have helped to validate the anecdotal reports that iboga and ibogaine significantly reduce withdrawal symptoms and have powerful anti-addictive properties. A rat study demonstrated that ibogaine blocks morphine-induced dopamine release and binds to opioid receptors . It is also reported to effectively treat cravings in both plant form and pharmaceutical analogue forms . Various neurotransmitter receptor sites have been identified to have ibogaine activity, including the glutamate, opioid, dopamine, serotonin, and acetylcholine systems. It is postulated the drug’s effects are due to a combination of these various systems. Ibogaine has also been shown to reduce the accumulated tolerance to opioids, which can aid in its anti-addictive properties . A study funded by Multidisciplinary Association of Psychedelic Studies (MAPS) in 2017 showed 50% of subjects achieved total opioid cessation at 1 month and 33% at 3 months. There were no adverse events; however, previous studies have reported some cardiovascular risk in certain patients. . A Brazil retrospective analysis in legal treatment facilities showed that 61% of 75 people with various drug dependences achieved long-term abstinence from ibogaine treatment. The median abstinence period was 5.5 months from a single dose and 8.4 months from multiple doses. The relief from withdrawal symptoms was reported to be on par with methadone treatment, but without the need for continuous medication. These treatments were all in conjunction with psychotherapy . Ibogaine or iboga is administered in a controlled setting in a single dose so that the effects (many of them psychological) can be experienced over the course of several hours. It is described to commonly induce a visual memory recall state of vivid intensity that the user is able to understand in personally meaningful ways. The visions have been reported to extend into creating a sense of psychological healing and knowledge of how to carry it out. Traditionally, these dosing sessions are repeated months apart until fully sustained effects are achieved , . Previous decades have explored iboga and ibogaine with drug addiction, but the results have varied. Safety concerns are often cited as a primary reason it hasn’t been adopted as an official medicine in western nations. The context in which it is taken and the potentially fragile state of drug-addicted patients are likely risks that have historically resulted in serious adverse effects and even death , . However, with its unprecedented ability to eliminate cravings, withdrawal symptoms and prevent relapse, continued research is warranted. This is especially true in the context of global opioid epidemics that are costing people’s lives and enormous amounts of financial resources. “The Opioid Epidemic in the U . S .,” vol. 65, no. May, p. 2017, 2017. A. Bernstein, “Medicaid Responds To The Opioid Epidemic: Regulating Prescribing And Finding Ways To Expand Treatment Access,” Health Affairs, 2017. [Online]. Available: https://www.healthaffairs.org/do/10.1377/hblog20170411.059567/full/. [Accessed: 12-Dec-2018]. A. Kolodny et al., “The Prescription Opioid and Heroin Crisis: A Public Health Approach to an Epidemic of Addiction,” Annu. Rev. Public Health, vol. 36, no. 1, pp. 559–574, Mar. 2015. D. L. Hoyert and J. Xu, “Deaths: preliminary data for 2011.,” Natl. Vital Stat. Rep., vol. 61, no. 6, pp. 1–51, Oct. 2012. J. W. Fernandez and R. L. Fernandez, “Returning to the path: the use of ibogaine in an equatorial African ritual context and the binding of time, space, and social relationships.,” Alkaloids. Chem. Biol., vol. 56, pp. 235–47, 2001. S. Giorgio, “‘The Bwiti Religion and the psychoactive plant Tabernanthe iboga (Equatorial Africa).,’” Integration, vol. 4, pp. 4–10. D. C. Mash, L. Duque, B. 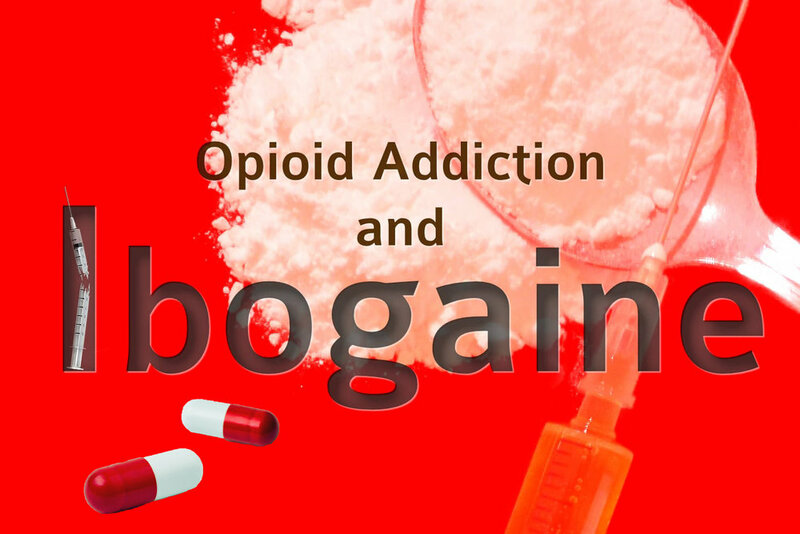 Page, and K. Allen-Ferdinand, “Ibogaine Detoxification Transitions Opioid and Cocaine Abusers Between Dependence and Abstinence: Clinical Observations and Treatment Outcomes.,” Front. Pharmacol., vol. 9, p. 529, 2018. S. D. Glick and I. S. Maisonneuve, “Mechanisms of antiaddictive actions of ibogaine.,” Ann. N. Y. Acad. Sci., vol. 844, pp. 214–26, May 1998. D. C. Mash et al., “Ibogaine: Complex Pharmacokinetics, Concerns for Safety, and Preliminary Efficacy Measures,” Ann. N. Y. Acad. Sci., vol. 914, no. 1, pp. 394–401, Sep. 2000. J. Dickinson et al., “Clinical Guidelines for Ibogaine-Assisted Detoxification,” The Global Ibogaine Therapy Alliance, 2015. [Online]. Available: https://www.ibogainealliance.org/guidelines/. [Accessed: 23-Feb-2019]. T. K. Brown and K. Alper, “Treatment of opioid use disorder with ibogaine: detoxification and drug use outcomes,” Am. J. Drug Alcohol Abuse, vol. 44, no. 1, pp. 24–36, Jan. 2018. E. E. Schenberg, M. A. de Castro Comis, B. R. Chaves, and D. X. da Silveira, “Treating drug dependence with the aid of ibogaine: A retrospective study,” J. Psychopharmacol., vol. 28, no. 11, pp. 993–1000, Nov. 2014. G. E. Noller, C. M. Frampton, and B. Yazar-Klosinski, “Ibogaine treatment outcomes for opioid dependence from a twelve-month follow-up observational study,” Am. J. Drug Alcohol Abuse, vol. 44, no. 1, pp. 37–46, Jan. 2018.